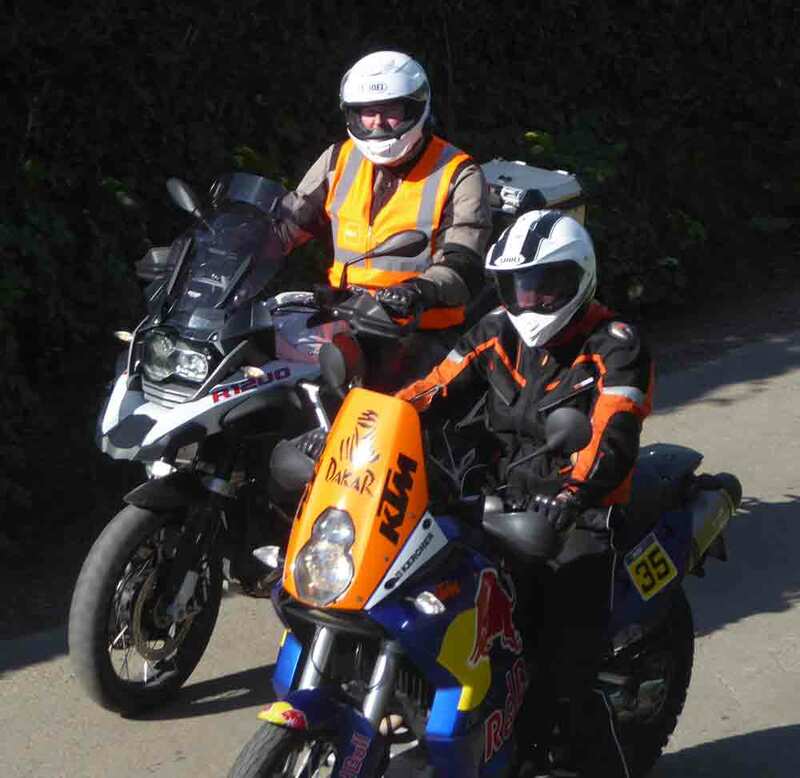 There was a crash just outside Ballywalter, and a couple of riders retired. 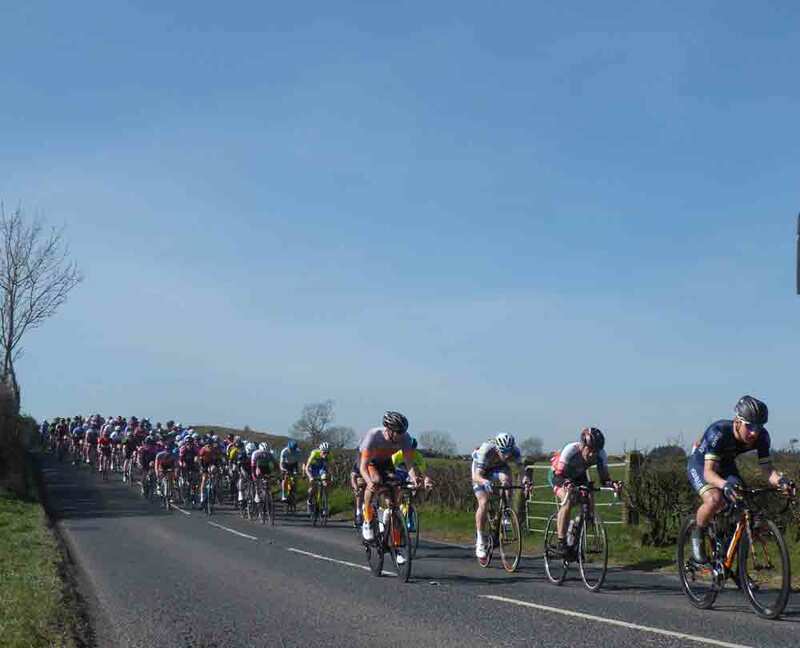 There were the first signs that a break was forming, with 4 riders just off the front. The fantastic weather brought out the spectators. 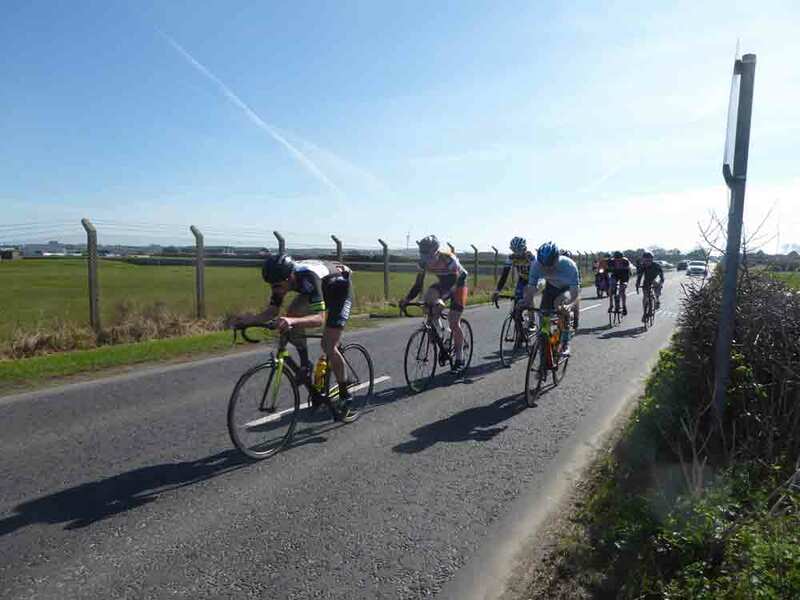 By Kirkistown, the break had grown to 7 riders, and they had 25 seconds on the bunch. 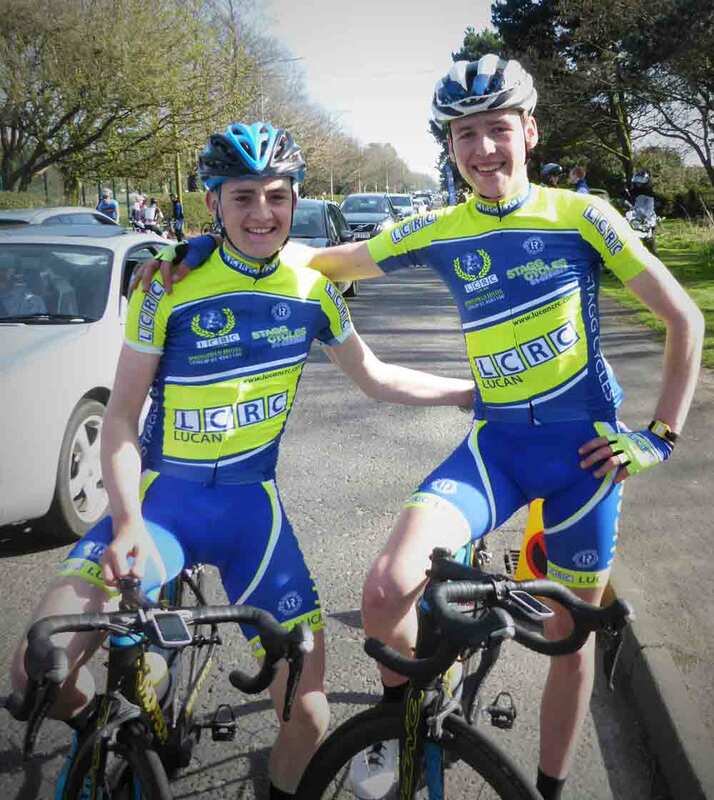 In the bunch, Lucan CC riders Conn McDunphy and Dermot Trulock had sensed the danger, and were driving the chase. The bunch was well lined out! 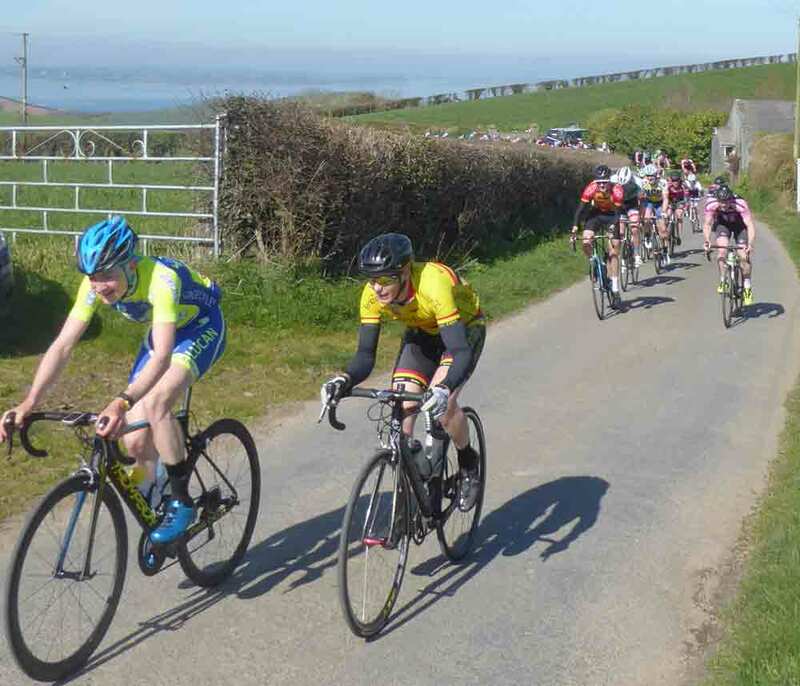 By Abbacy Road on the first lap, the break had 30 seconds. The gap peaked at 40 seconds. 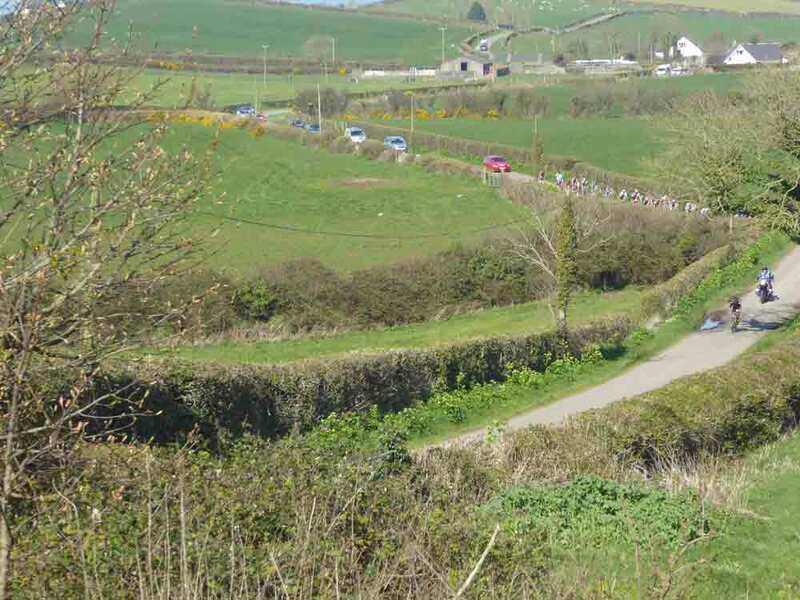 By the top of Mountain Road on the first lap, the break was down to 6 men, and the gap had dropped to 25seconds. 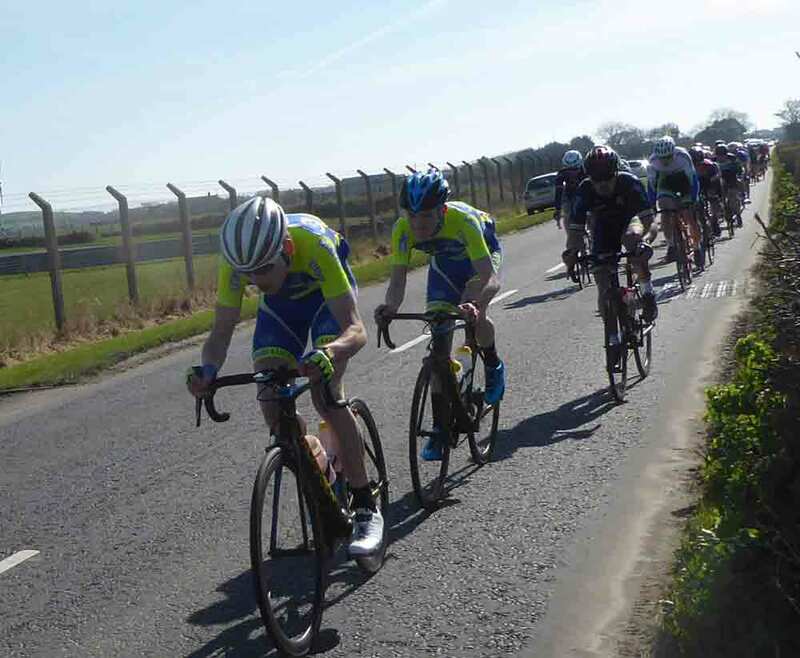 By Abbacy Road on the second lap, the break was down to 3 riders, and the bunch was breathing down their necks.. 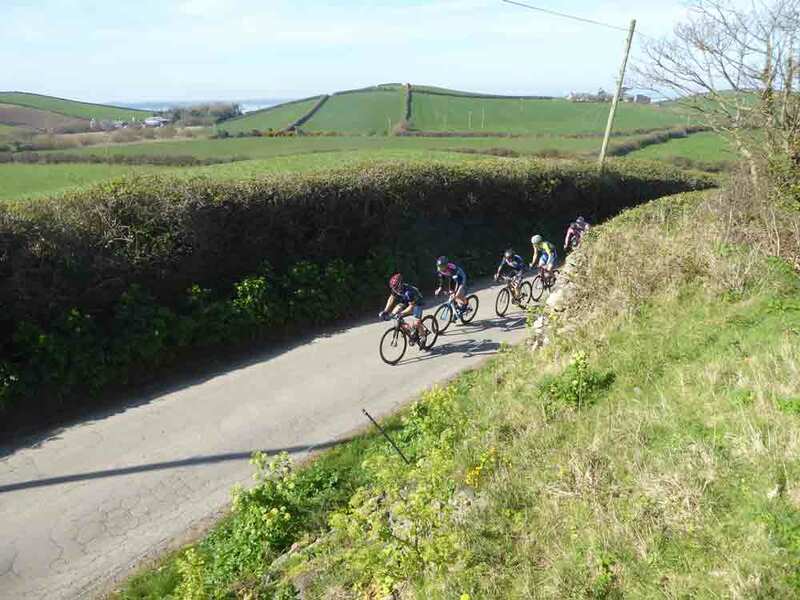 The Ards riders were still looking comfortable second time up Mountain Road. By Cloughy on the second lap, it was all together again at the front of the race, and the riders were starting to look at each other. 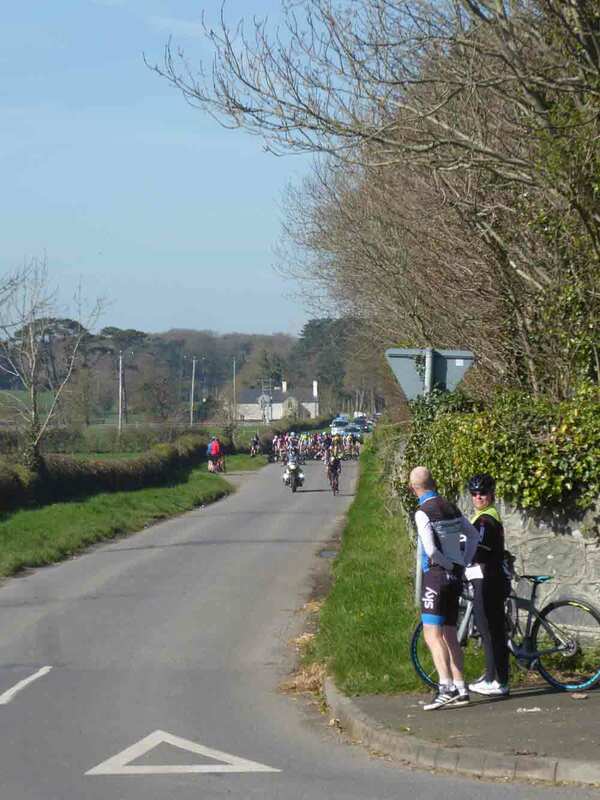 On the approach to the old abbey on Abbacy Road, a lone rider dangles off the front of the significantly depleted bunch on the 3rd lap. 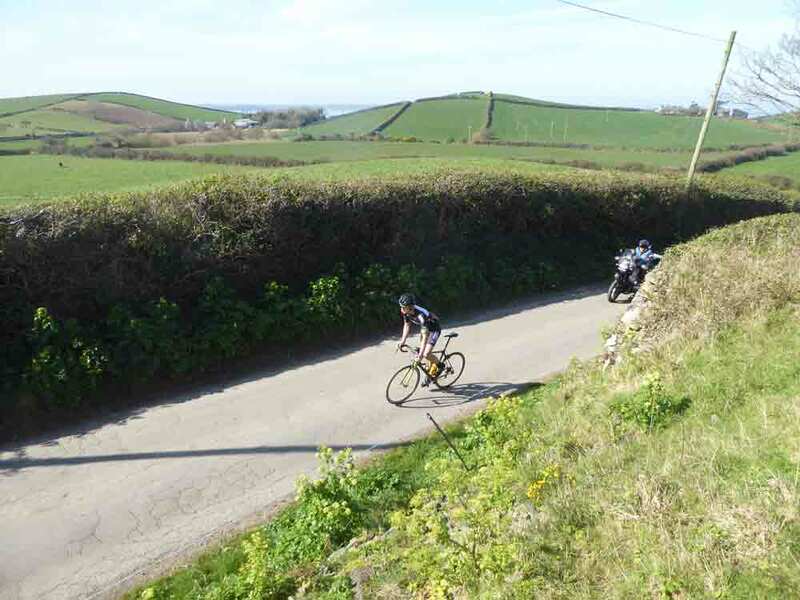 He’s looking good on the climb past the abbey….. But the bunch aren’t giving him much leeway, and he would soon be caught. 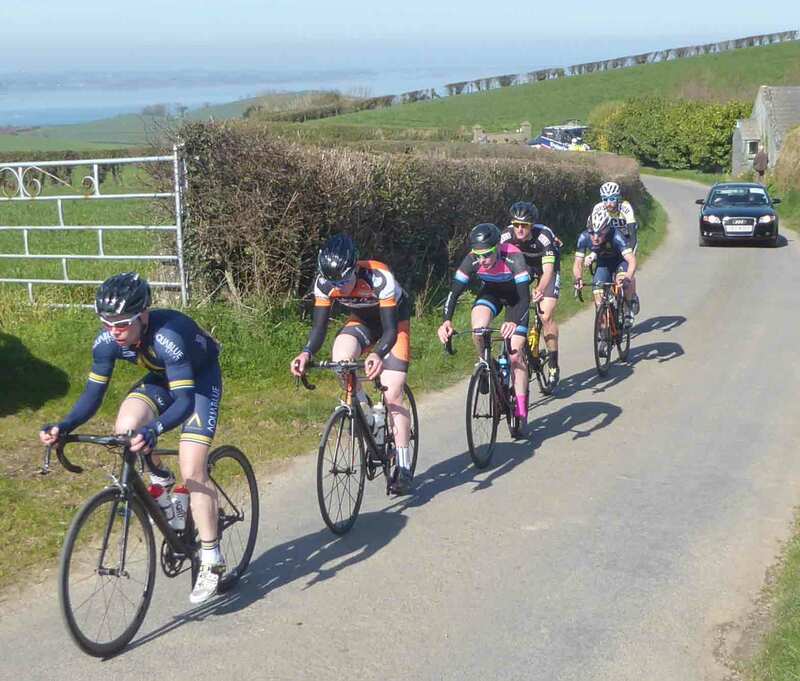 There were numerous skirmishes on the run in to Newtownards, but nobody could stay away until Conn McDunphy (Lucan CC) attacked with 2 miles to go. 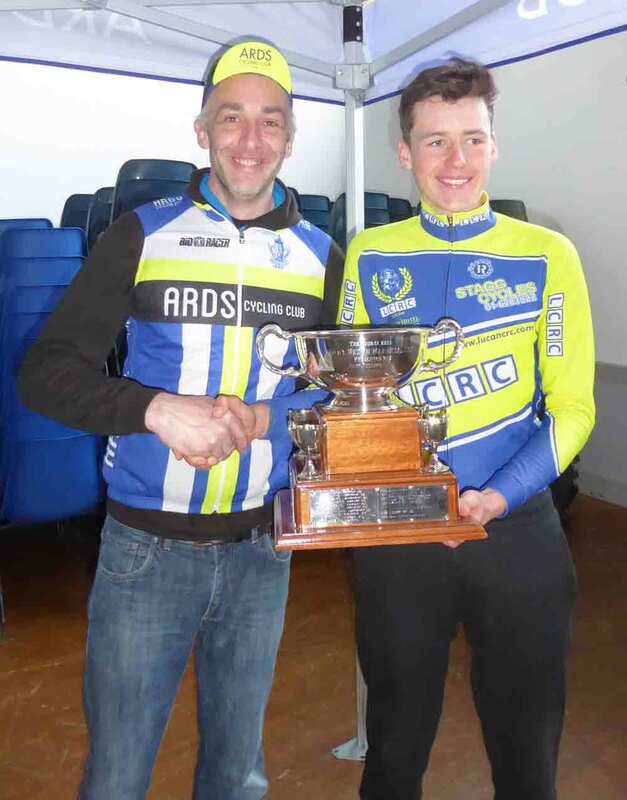 He managed to hang on for a well deserved win, with the bunch just 3 seconds behind at the line. 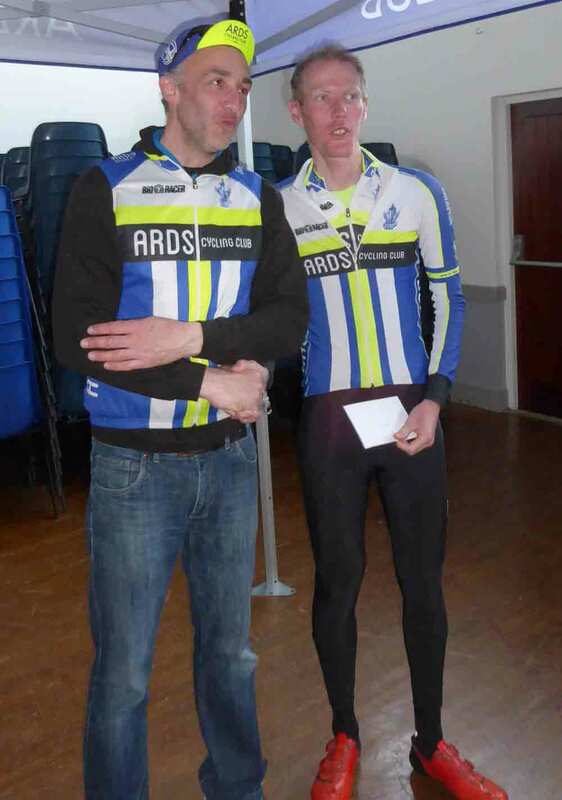 Conn (right) is pictured here at the finish line with team mate Dermot. The Police – including 9 motorcycles and a command car. St John Ambulance, who had a couple of riders to attend to after the Ballywalter crash. 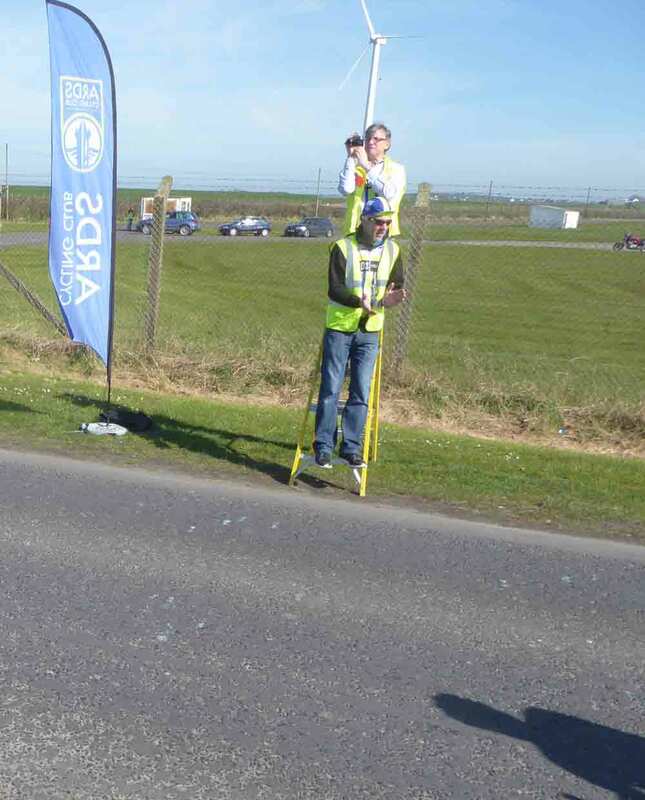 All the club volunteers who helped to marshall (both on foot and on motorcycle), judge, drive, support and time the race. 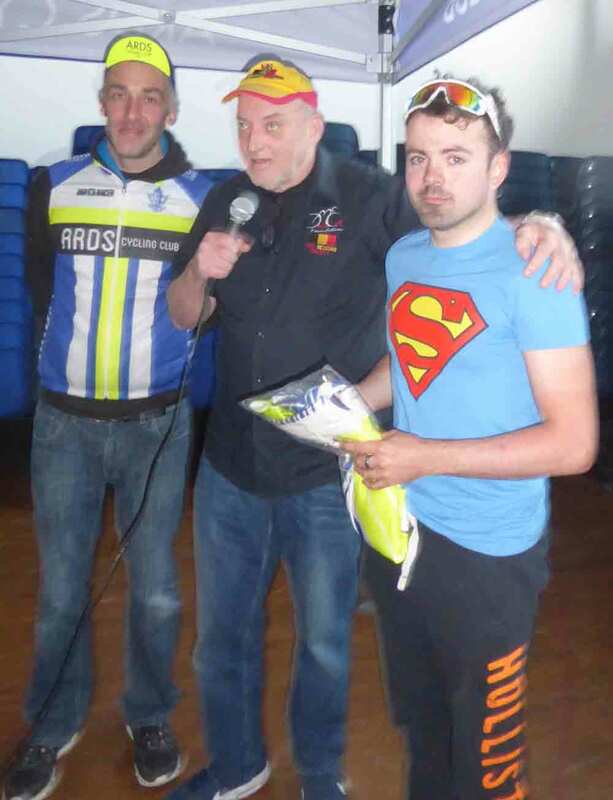 And of course, the riders and their supporters. And finally – here’s the top 20 in full. 14 Liam Wilson Powerhouse Sport 1st unplaced jun.